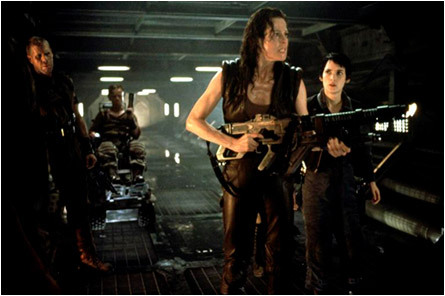 Ellen Ripley, the Alien’s BFF, committed suicide in molten steel juice over 200 years ago in Alien 3 (1992). 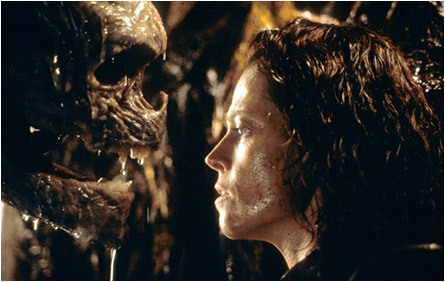 So how is it she turns up in Alien: Resurrection (1997)? I’m thinkin’ future magic. 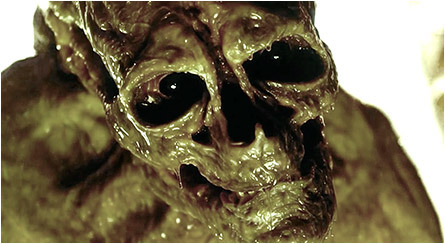 Using Ripley’s blood and the delicious DNA inside, future scientists clone her — as well as the alien queen embryo that was inside her when she went swimming in fire. Messed up, man. Especially when you find out she’s No. 8 in a series of failed cloned Ripleys, the first seven of which made it through varying degrees of growth spurts, from lumps of lava lamp fillings to multi-limbed/multi-f’d up versions of herself. 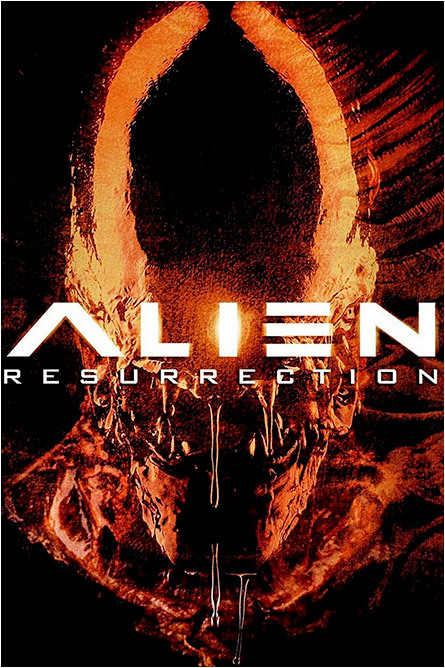 Space criminals hijack a ship of workers in stasis (sleep in a can), and sell their bodies to a covert government ship, who need the bodies so that the face-huggers can live up to their job title, thereby creating more aliens. Ripley, in the meantime, kinda sort a remembers her past life, but she’s sportin’ alien gunk in her system, which gives her the strength of an alien gorilla, acid blood, and killer basketball skills (don’t freak — it makes for a great scene). The aliens get out of their study cribs and the massive ship, headed for Earth, is teeming with a dozen shiny silver-toothed human haters. 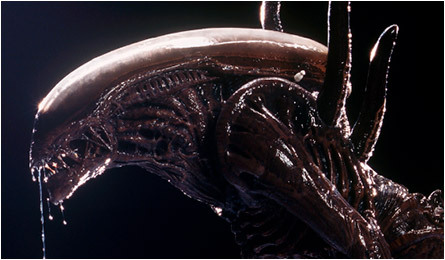 That’s the only part I didn’t like as it made the alien creatures look fake. My teeth don’t look anywhere near that shiny after eating future people. And what’s with space people wearing glasses? You’d think if they can clone someone and build, spaceships the size of Third World Countries that corrective vision surgery would be as easy as implanting an alien embryo in your gut.